This is a lovely little Edwardian antique white bib made of corded cotton with lovely whitework embroidery and scalloped edges. 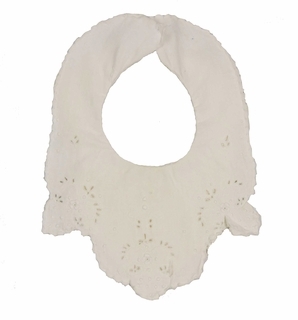 It is backed with a padded cotton layer edged with delicate tatting. Made in the early 1900s, these "dribble bibs" were meant to protect baby's finer clothing. 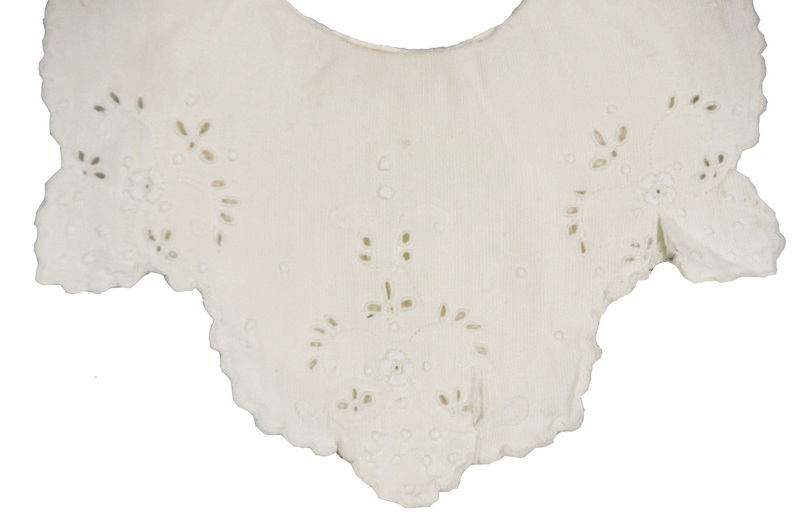 This bib closes with two shell buttons with loops. This would be a perfect accessory with any of the heirloom or classic dresses for a christening or other important occasion.